From Half Dome in Yosemite, to Il Duomo in Italy, Kevin Petti has always followed his bliss. And his unique career is the perfect example of what can happen as a result. 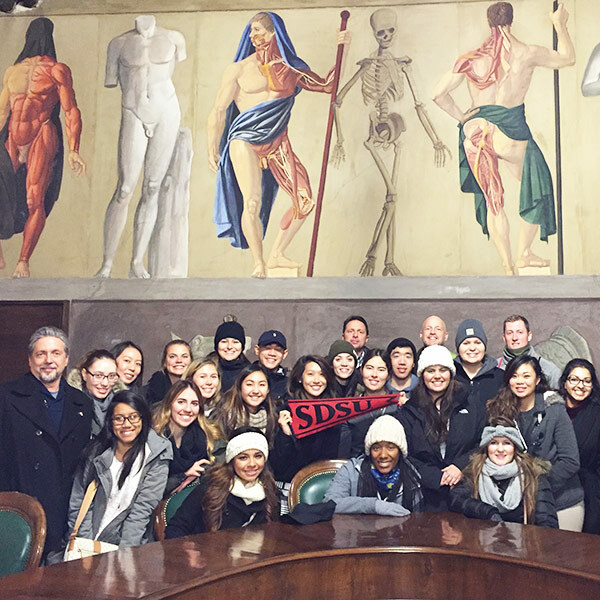 In winter 2015, Professor Petti led the first-ever group of San Diego State University students in a new study abroad program that explores the clandestine relationship between art and anatomical science in Medieval and Renaissance Italy. 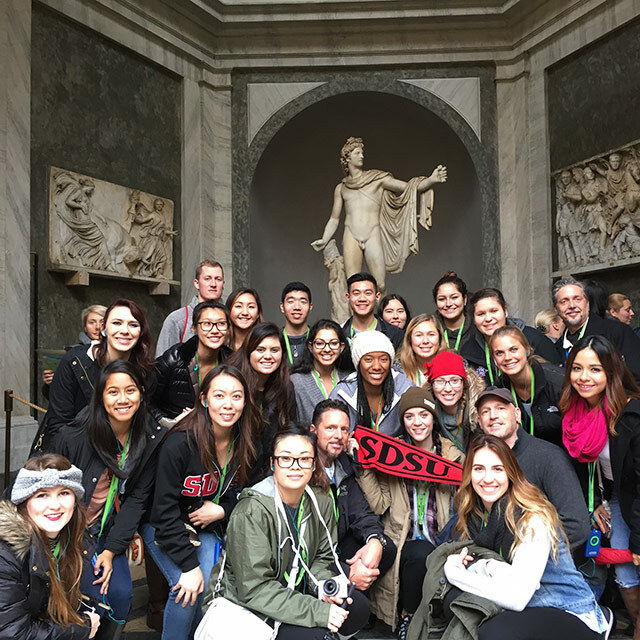 Connecting Art & Science: The Cultural History of Art and Anatomy in Italy was an instant hit, with the program quickly filling to capacity every semester since. How such a fascinating program came to be in the SDSU study abroad roster leads us to Petti’s bliss trajectory. After his sophomore year at Penn State, the native Philadelphian took a two-year hiatus to live in Yosemite National Park and rock climb. Among his significant climbs was an ascent of the Northwest Face of Half Dome. Upon his return to academia, Petti earned a B.A. at Humboldt State, an M.A. at SDSU in exercise physiology (with an emphasis in biomechanics), and a Ph.D. from the University of San Diego. 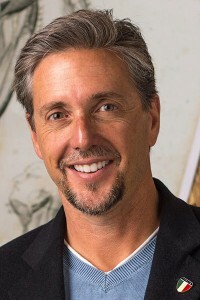 Since 1987, Professor Petti has been teaching courses in human anatomy and physiology, human dissection, applied anatomy and kinesiology, and health science at San Diego Miramar College. Then a 2009 trip to Italy with his wife and teenage children led to an entirely new dimension of his career. 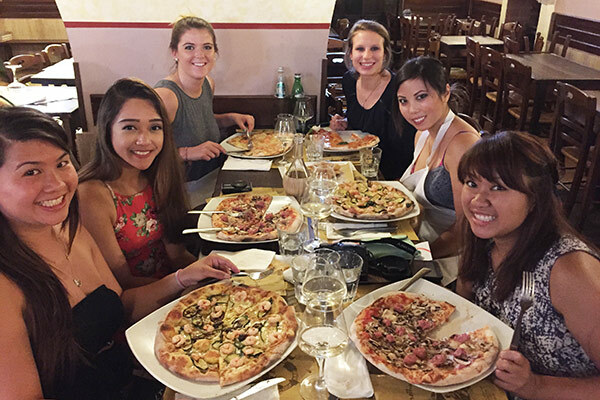 Petti spoke about his experience at a conference of the Human Anatomy and Physiology Society (HAPS), of which he is president emeritus, explaining that a trip to Italy can be a deeper experience for anatomists at these rarely visited sites. Through Anatomia Italiana, founded in 2009, Petti began offering customized travel; professional development courses for anatomy professors, with graduate credit through HAPS; and unique lectures all over the world. One of those lectures was in November 2013 at the Timken Museum in Balboa Park, and one of Petti’s SDSU professors, Dr. Lindsay Carter (now retired), was in attendance. Winter 2016 students stand before the 2000-year-old Apollo Belvedere at the Vatican Museums. Just last month, Connecting Art and Science: The Cultural History of Art and Anatomy in Italy was nationally recognized by The Forum on Education Abroad as a “unique approach and best practice” to study abroad. As such, The Forum — an online instructional resource for education abroad professionals — put Petti’s program in its new Curriculum Toolbox as a definitive model of quality. What it is about Italy that made it such an epicenter of art, culture, and medicine? Great question! There is something about the DNA of the Italian peninsula that results in an expression of art and science on a groundbreaking scale. The single greatest contributor is the Italian Renaissance. This rebirth gave us more than a rediscovery of ancient Greek culture resulting in the art of Florence that spread across Europe. The sciences were also rediscovered. Galileo gave us the telescope, the discovery of the moons of Jupiter, and the confirmation of a heliocentric universe. The incorporation of human anatomy into the medical curriculum through dissection and direct observation began in Italy. The modern university was also born in Italy. The paradigm of students paying faculty for a conferred degree in an established curriculum that affords the opportunity to practice a profession, began in Italy at the University of Bologna in 1088. Western culture in the arts and sciences owes a great deal of gratitude to Italy, and the Italian Renaissance. What are some of the fascinating things students can expect to learn? The vast majority of students who enroll in this program are majoring in the health sciences (pre-physical therapy, nursing, athletic training, nutrition …) and have all taken a human anatomy course. They are amazed at how anatomy as a science in medical education began in Italy, and how correct their 14th and 15th century anatomy was. They visit collections of anatomic wax sculptures that are centuries old and incredibly accurate. But as science majors, their studies often lack a grounding in the humanities. Students in this program are assigned readings that explore the Italian Renaissance, humanism, and a litany of artists such as Michelangelo, Leonardo, Rafael, Caravaggio, Bernini and more. For many students, this is their deepest foray into these concepts. This all culminates with visits to museums housing the works of these masters. Students are stunned when they stand before masterpieces they have previously only read about. The whole program comes together when they also contemplate the anatomical accuracy of these masters that could only have been achieved through human dissection. 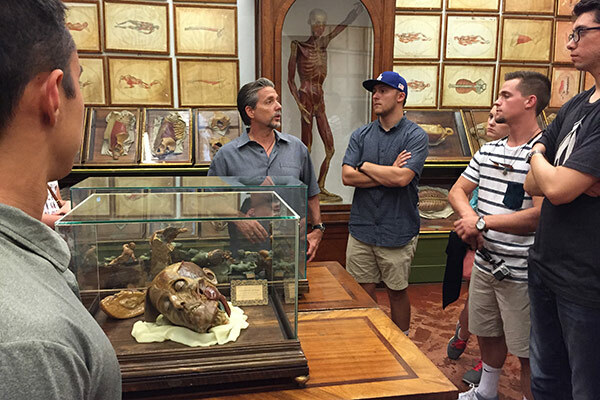 Dr. Petti lecturing to summer 2015 students at the La Specola collection of anatomical waxes in the University of Florence. What are some of the rarely visited venues of historic scientific importance that students will see? • The Museum of the History of Health Science in Rome which is open only by appointment and contains centuries-old anatomic specimens representing pathology and trauma. Also here are medical instruments dating back to the Roman Empire, and an ancient alchemy laboratory. This visit is hosted by Prof. Gaspare Baggieri, who curates this museum. • La Specola Anatomical Wax Museum at the University of Florence. This museum contains one of the greatest collections of anatomical waxes in the world, including the first wax ever sculpted for medical education. Dr. Petti lecturing about the frescos celebrating historic physicians in the halls of the University of Bologna. • The Michelangelo Crucifix in the Basilica of Santo Spirito in Florence. This wooden sculpture was completed by an 18-year-old Michelangelo as a token of gratitude to a priest who gave him access to corpses from a nearby hospital for clandestine dissection as he studied the body for his art. This piece truly connects art and anatomy! • The Ancient Dissection Theater at the University of Bologna. The theater dates back to 1638 and is incredibly beautiful. The University of Bologna is considered the first university in the world in the modern sense and dates back to 1088. Still today this is an extremely important and highly regarded institution. • The Palazzo Poggi collection of Anatomical Waxes at the University of Bologna. This museum contains the first such collection for medical education. It also contains an amazing collection of obstetric instruments and anatomical waxes for teaching how to deliver difficult fetal presentations. • The Luigi Calori collection of Anatomical Waxes at the University of Bologna. Here resides the first collection of pathological anatomy wax sculptures. Anatomical pathology as a science began at this university. 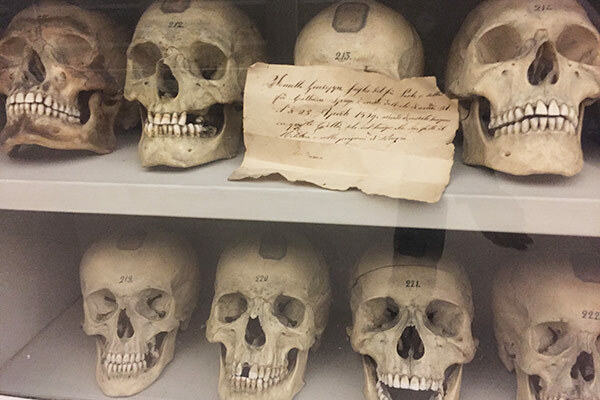 Here also is an anthropological collection of over 2000 human skulls, some of which date back to ancient Rome, considered one of the largest of such collections in the world. This visit is hosted by a member of the anatomy faculty. 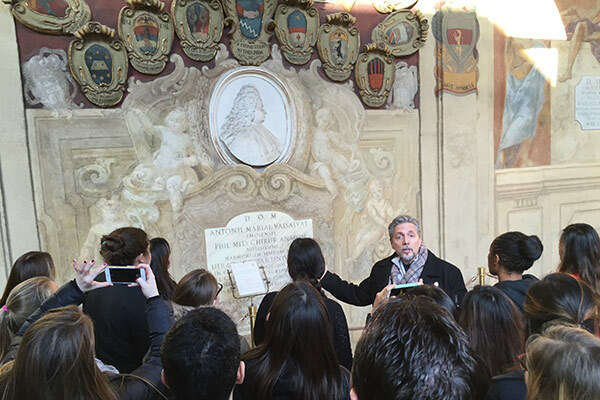 Winter 2016 students in the Ancient Hall of Medicine at the University of Padua. •The Palazzo del Bo at the University of Padua. This building is the ancient seat of the university. Students visit the oldest dissection theater in the world (1595). This venue is where many famous physicians such as William Harvey (father of cardiopulmonary physiology) and Gabriello Fallopio (discoverer of the fallopian tubes and other important structures) studied anatomy. Galileo studied at the University of Padua too, and students visit the Aula Magna, the hall where he lectured, and also stand before the actual lecture podium Galileo used! Truly a moving experience! Can you share a few facts about things housed in the Vatican Museums, the Capuchin Crypt of Santa Marie della Concezione, or any other program destination? The Capuchin Crypt contains the skulls and bones of the actual friars and poor Romans affiliated with the convent there. The bodies were buried at their previous monastery but were dug up and brought to this location when the friars moved here in 1631. The friars exhumed and then transported the bones of over 4000 people. These bones were then used to elaborately decorate a series of ossuary shrines beneath the main sanctuary. A sign in one shrine reads: What you are now, we once were. What we are now, you will be. Here we see the human body as a vehicle for religious expression, which is a departure from how many of us see the body solely for its role in health and disease, or to be celebrated in painting and sculpture. How many students typically go on a study abroad trip? A typical program enrolls 20-22 students. Considering there are about 200 students on the inquiry list, it is no surprise each session fills in about 10-12 days. Every semester students are begging me to enroll after the program has closed. Thankfully, in addition to the normal winter session, two sessions will be offered in summer 2017 to better meet student demand. I also see developing a second itinerary that starts at the University of Palermo and includes visits to the Riace Bronzes (in Reggio Calabria), the Second University of Naples (which has an absolutely amazing historic anatomy museum including ancient Roman medical instruments), a visit to Pompeii, and more. There is so much potential to explore the deeper layers about the cultural history of art and anatomy in Italy. Students can then select which program better fits their interests. Clearly there is student demand; the only challenge is getting the courses offered, and SDSU has provided great support. Do you have a favorite anecdote or small-world experience about chaperoning young people on such an adventure? Moving 20+ students from point A to point B is a difficult task, much like herding the proverbial kittens, because the sights and smells and sounds of Italy are so distracting! While a specific anecdote does not come to mind, my favorite part of the adventure is watching their minds open to new ideas as they embrace the culture. Seeing their stunned faces as they stand before Michelangelo’s David, or the Sistine Chapel ceiling is for me a rewarding experience. I also like watching students as they try to order dinner in Italian. Sometimes the meal that arrives is not what they had in mind! Aside from the weather, is there anything different about taking the course over summer versus winter break? Yes, the obvious difference is the weather. Summer is hot, but the days are long, so students can sit in a Roman piazza well into the warm evenings, which is a lovely experience. Winter however, while colder and requiring a heavier suitcase with sweaters and jackets, allows for smaller crowds, and welcome relief from the sizzle of summer. Both seasons have their benefits. Lately I have been enjoying the tranquility and coolness of the winter experience. What do your students typically say about the experience? You can read their actual words by reading their Rate My Professors comments here. They often say they had no idea about the history of anatomy in Italy, that they are emotionally moved by the art, and that they are fascinated by sculptures that are both artistically amazing while at the same time anatomically accurate (Connecting Art and Anatomy!). And they absolutely rave about the food. They joke they are now foodie snobs who can no longer eat pizza in San Diego, and now realize they’ve been overcooking pasta their entire lives (and they’re right!). Tell us more about the food. Depending on the season, I urge students to try local favorites such as wild boar or rabbit. When in Florence, the more adventurous students try Lampredotto, a sandwich made from a special part of a cow’s stomach (tripe)! Eating like a local is the best way to immerse yourself in the culture, and the majority of our students do this. How did your dual U.S./Italian citizenship come about? Several years ago when taking an Italian language class in San Diego’s Little Italy, that night’s lesson was The Family. We were asked to assemble sentences using family-related vocabulary. I said to my instructor, Tutti i miei nonni sono italiani, which translates to All my grandparents are Italian. My instructor asked if that was true (it is) and she then said I was eligible for Italian citizenship. I inquired, met with an Italian lawyer, gathered endless documents, applied, and was granted permanent Italian citizenship for me and my two children in 2012 (wife is still pending). Are you an artist in any way — a painter or sculptor? Nope. Perhaps that’s why I’m so amazed by the works of those who can paint and sculpt. First a park ranger (hence my life in Yosemite), and I could have also been a sports writer. But here I am teaching about the body, and exploring Italy with students. Life is grand. What would you say to anyone contemplating signing up for The Cultural History of Art and Anatomy in Italy? I’d like students to know that this class is a unique academic opportunity. The piazzas and museums of Italy are the classrooms. Serious online academic readings are completed in the weeks leading up to the actual travel. While in Italy, school is in every day. Typically, we meet in the lobby after breakfast, and then spend till mid-afternoon visiting venues that reinforce the readings. I frequently deliver mini-lectures in piazzas and museums. Evenings are usually free. This program is rich with content. I’m particularly proud of the online component I’ve developed. Do you have the best job in the world? I absolutely do think so. Every day I have the wonderful opportunity to spend time with the brightest and most promising young minds imaginable, discussing subject matter that excites me. And I challenge these minds with new ideas. I am constantly impressed with how my students contemplate these ideas, and then challenge me with new insights. It never gets old. I am so excited for my daughter to experience this amazing adventure!! Amazing article! Dr.Petti”s remarkable passion is evident and infectious. I imagine the surrealness of viewing these astounding works of art narrated by such passion is a memorable experience.